The origins of Henry Medley's birth date and birth place are unknown, but he was probably born in England. He entered the Royal Navy in 1703, and was promoted through service on many ships throughout his career in the Baltic and Mediterranean seas, including the Poole, York and Leopard. In 1739, he was appointed Governor of Newfoundland and served for two seasons. In 1744, he was promoted Rear-admiral of the White, in 1745 he became Vice-admiral and Commander-in-chief in the Mediterranean. In July 1747, he was promoted to Vice-admiral of the Red but died, likely in ignorance of the advancement, on August 5th, 1747 on board the Russell at Vado. 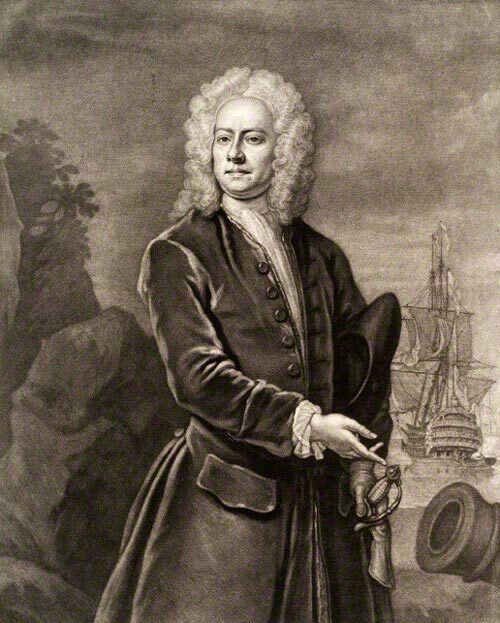 Some sources indicate that the governor in 1740 was Lord George Graham. There is no evidence to support this appointment.